﻿ Is Marc Marquez your MCN Man of the Year 2016? Each year, we award the motorcycle racer you think has most impressed with their results from across the year with the MCN Man of the Year trophy. With voting for the 2016 Man of the Year now open, we thought we’d take a more detailed look at some of the contenders…. 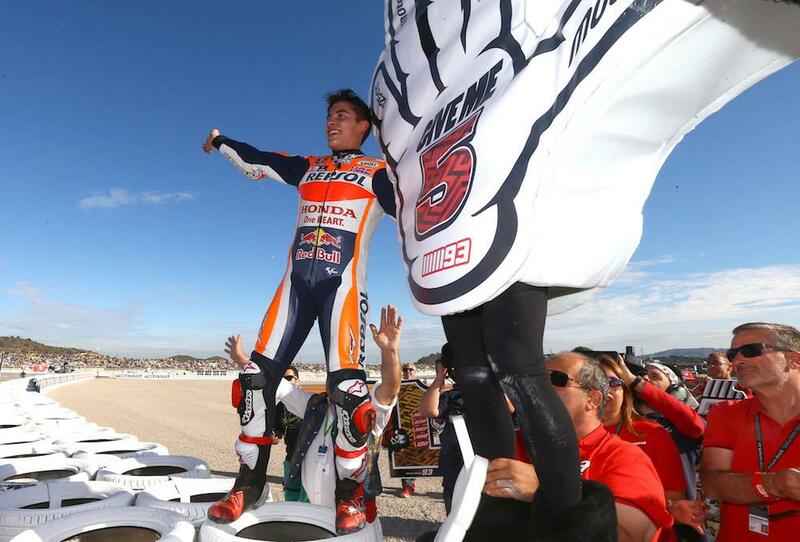 Believe it or not, winning MotoGP World Championships isn’t easy. Even if you’ve got one of the best bikes on the grid, you’ve still got to pull together the points over 18 rounds in varying conditions against some of the toughest competition in the world. When you’ve got a bike that isn’t quite behaving like you’d want it to, let’s say being a bit of a handful, it’s even harder to win a MotoGP title but that’s just what Marc Marquez did this year. The Spaniard now has three premiere class titles to his name, but his 2016 achievements are perhaps the most impressive of his career as he reached a new level of maturity and it’s that level of maturity that saw him crowned champion in Motegi, before even he himself expected. With Honda’s RC213V continuing to suffer from the aggressive power delivery that had hampered Marquez in 2015, he knew he didn’t have the package to win every race but the key to this title was that he realised he didn’t need to. We saw a new Marquez, one that was happy to settle for the points and this new tactic paid off as he quietly built his championship lead. He only won five races this season, fewer than any World Champion since Nicky Hayden in ten years ago, but his overall consistency saw him fail to finish just one race while missing out on the podium in only five more. Is Marquez your Man of the Year for 2016? Vote now by clicking here! Is Marc Marquez your 2017 MCN Man of the Year? Is Marc Marquez your 2018 MCN Racer of the Year? Is Ian Hutchinson your MCN Man of the Year 2016?